Take on your day in style and comfort wearing the Patagonia Alpine Valley Dress for women. Patagonia designed the Alpine Valley dress out of organic cotton and TENCEL® lyocell blend for soft and breathable wear. Lined in the dress is a shelf bra for comfort and convenience. The Alpine Valley has been Fair Trade Certified Sewn. The high neck, spaghetti straps, and forgiving silhouette will have you loving every summer day in this dress. 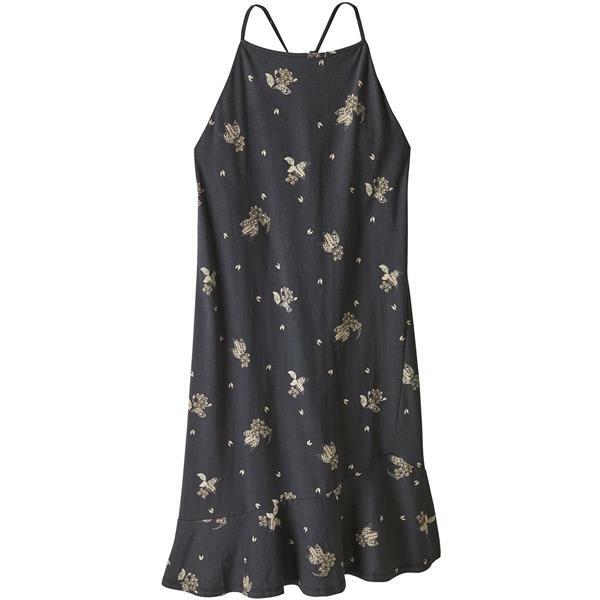 Head to the lake, run errands or style with your favorite sandals for a cute look in the Patagonia Alpine Valley Dress for women.